Margao and suburbs are fast turning into commercial hubs of South Goa. And with this, one can see the rise in slum population that can influence the upcoming elections. This can be reflected in the campaigning styles of politicians who try and woo the slum population across constituencies. Margao in particular sees the slump populace dominating the elections, be it the Lok Sabha, Vidan Sabha or even the local municipal elections. For politicians, places like Azad Nagari, Cine Lata and Monte Hill area are deemed as important in the race to increase their margins. A saturated town like Margao has total number of over 22 thousand voting due to these thickly populated areas. 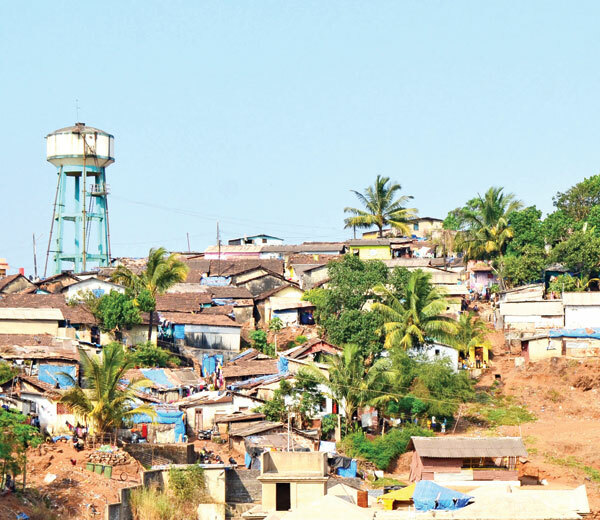 For the last three decades, these the slump population from Monte Hill, Azad Nagari and the area behind Cine Lata, have pumped in more than 8 to 9 thousand votes for all the successive MLA's of Margao candidates. Surprisingly, all these years no party, no MLA no government thought of rehabilitating the people from these communities. The Monte Hill which is complete Communidade land has atleast 3 thousand voters and is the bank of votes for Margao constituency. It is the same case with group of houses behind Cine Lata, in the heart of Margao town. The residents of these places have voted for atleast 6 decades and have only grown in size. The fact is clear that allowing groups of houses like this to prosper can only be beneficial politically and nothing else as the people live in the same condition and areas where they did several years ago. The present Margao MLA has been MLA for last 7 terms and has never lost the lead in these booths. Azad Nagari, near Railway station has a strong voter base. The land which was provided as a temporary settlement for the people displaced by Konkan Railway has become a full fledged slum vote bank. Now these residents have their own businesses around the town and also have alternate houses and flats in the city. However they want to stay attached to this place to increase their chances of getting government perks. All these people take the benefit of all the schemes of the state as well as central Government and also make up for crowd during the election meetings. Maula Balbatti a resident of Monte hill while speaking to Herald said "For last 23 years Monte gave the Margao MLA enough time to get our situation improved. But nothing great has happened till date" he said. "I will mention that the BJP members have helped us to stay the process of the demolition of our houses and we will always be indebted to them" said Maula.